Among the Student Conservation Association (SCA) crew working in the Dan Ryan Woods this summer are several seasoned veterans. There’s Joi Funches, 17, a rising senior from the south suburbs. She speaks with the confidence that comes from experience, easily rattling off the names of invasive species—buckthorn, catalpa, burdock—that cause problems in the preserves and which she can handily remove. Funches had other opportunities this summer, she says. “But I liked the [SCA] program and came back.” This is her second year. The “hands-on” work—“cutting down trees and using tools to build things that help the forest preserves” remain a vital part of the Cook County ecosystem—appeals to her. Eleven Chicago area high school students are working for six weeks in Dan Ryan Woods this summer under the auspices of the SCA, the Forest Preserves of Cook County and the Friends of the Forest Preserves. A grant from the Forest Preserve Foundation with funds provided by Allstate Corp., CSX and private donors supports the crew of high school students, ranging from 15 to 18 years old. They receive a stipend, gain valuable experience doing restoration work and contribute significantly to the health of the preserves. 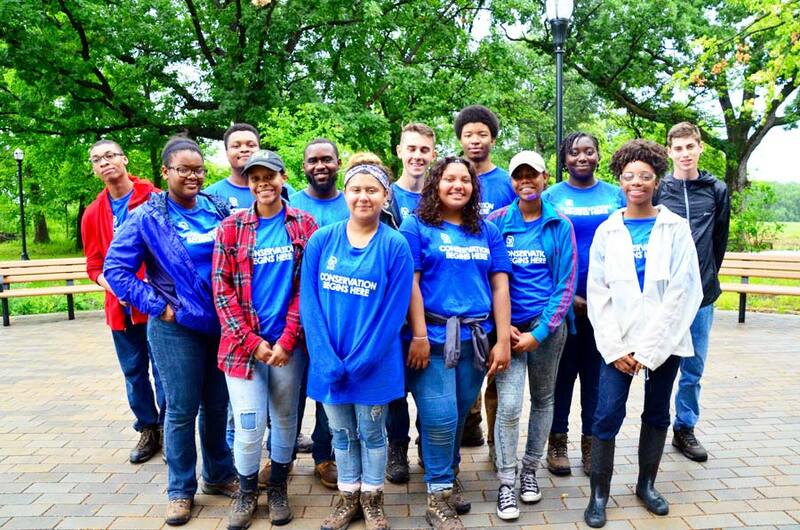 Since SCA fielded its first community conservation program in Chicago in 2010 with 20 high school students, more than 500 youth in the region have participated in its programs. Members of the Dan Ryan crew come from neighbors—Morgan Park, Hyde Park, Ashburn and Beverly— on the city’s South Side. They range in age from 15 to 18. John Green, from the Ashburn neighborhood, was an SCA crew member for three years, starting in his junior year in high school. Last year, he was a Forest Preserves project management intern. This year, he rose to become a crew co-leader. Green, 21 supervises and oversees crew members’ work, coordinating with Myriam Ajayi, 23, the other co-leader. Crew leaders must have certain credentials and skills—a valid driver’s license for at least three years, an herbicide license, CPR and first-aid training. “And previous experience helps,” Green says. They also undergo extensive training to prepare them for all kinds of circumstances that might occur during work days. On a mild July day, Green walks up the trail leading to where his crew is working in a part of Dan Ryan Woods that runs through the Beverly neighborhood. He points to the water bar they recently installed and an ever-present trail hazard: poison ivy. Green takes a moment to explain the function of water bars. (See video below.) They keep trails from getting muddy by diverting rainwater to the side. When he reaches the site, he greets his crew and carefully checks their work. They’re broken into two teams. One is debarking ash tree logs while the other digs trenches that will hold the logs that will become the water bars. Green says he was bit nervous at first about being a crew co-leader. “This is my first time being a real leader outside of school,” he explains. At first it was tough getting everybody situated and caught up.” Part of his job is instructing and coaching. 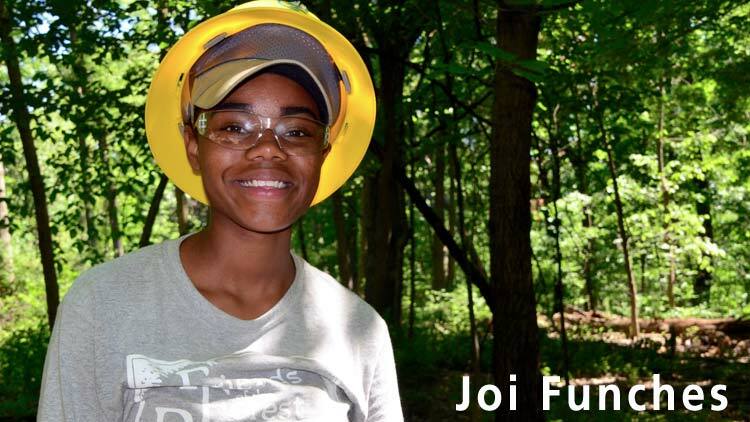 First-time crew member Nylah Ali, 15, admits she was once “guilty” of not knowing much about the forest preserves before starting to work this summer. She learned about the program in her ag (short for agriculture) communications class at Chicago High School for Agricultural Sciences. “I thought it would be interesting since I want to major in horticulture.” After three weeks, she’s become familiar with the most common invasive species. Catalpa and buckthorn, she’s quick to tell you. 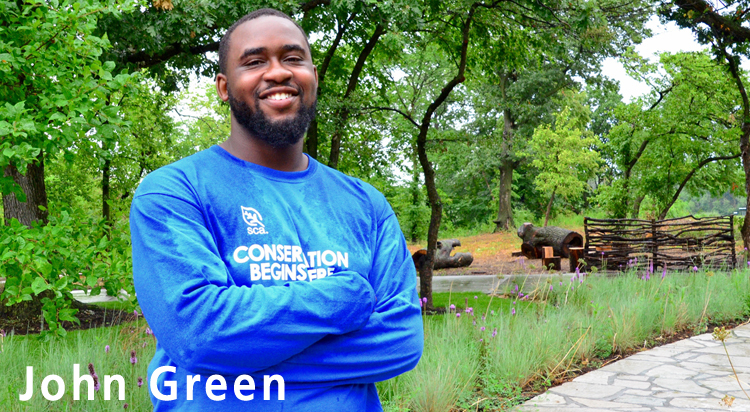 John Green, co-leader for the #SCA crew working in Dan Ryan Woods this summer, describes one of the projects. Through funds from corporate and private donors, the Foundation provided a grant that supports the crew.